Dr. Herman Voellinger is the lead expert for the ‘backend’ processes of Data Warehousing and Business Intelligence at IBM and an expert for architectural support of IBM SW opportunities for projects and services in the Financial Market. Voellinger has been with IBM since 1990. The first decade he was developer and architect for several application development projects in the German Development Lab, i.e. for Text- and Data Mining products. Later he worked four years for the IBM BIS S&S Category and was involved in the design and architecture of very large (many Terra Byte) Data Warehouses in the Telco and Insurance industry in Germany. During this time, he lead the ETL SWAT Team of Central Region. In the years 2003 and 2004 he was responsible Software IT architect in support of complex SW opportunities in the financial market in Germany. He was Information Integration Subject Matter Expert and Technical Champion/Advocate for the DB2 Brand in the Software Architects Team. Since 2005 he works as Senior IT Architect in design and development of business solutions in the area of Risk & Compliance (i.e. Basel II, IAS/IFRS and Sarbanes-Oxley). He is the responsible IT Architect for Basel2 Showcase, integrating the IBM Banking Data Warehouse (BDW) model with the data model of the scoring engine of FERMAT. 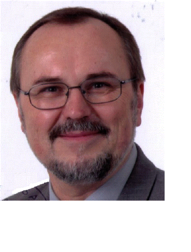 Since 2001, Herman teaches Data Warehouse, Business Intelligence and Customer Relationship Management at the University of Cooperative Education (Berufsakademie) in Stuttgart/Germany.